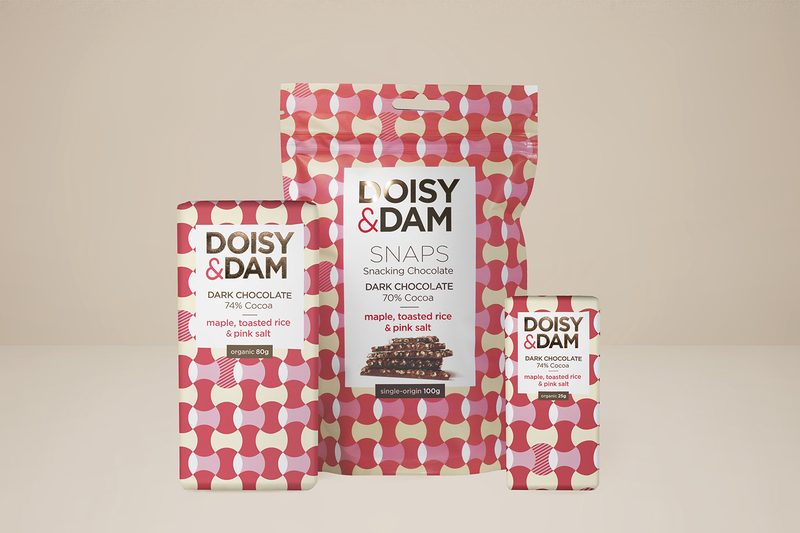 Doisy & Dam are a UK based artisan chocolate manufacturer. They produce original flavours from innovative ingredients that have been ethically sourced from around the world to create premium food products that provide the most delicious balance between nutrition and indulgence. They were looking to stand out on the shelves and communicate their exotic on-trend flavours through the packaging. 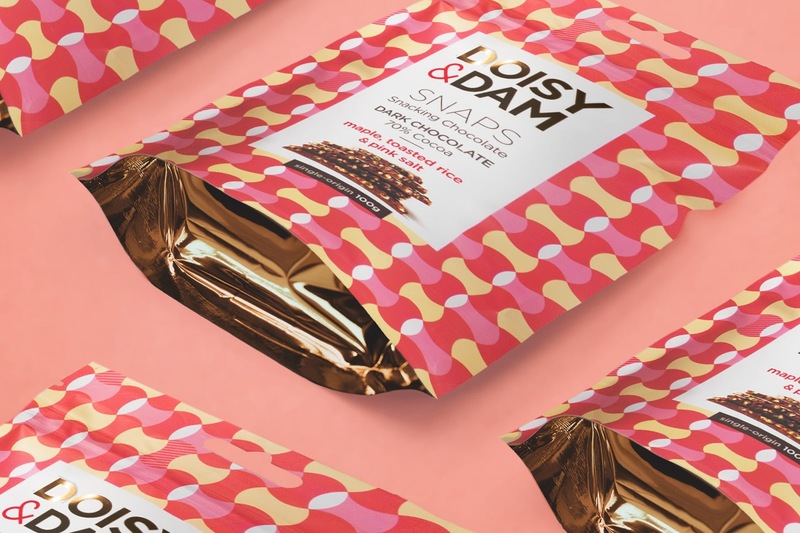 Naked Ideas helped rebrand the Doisy & Dam brand and designed the packaging across their new snacking chocolate product called Snaps. 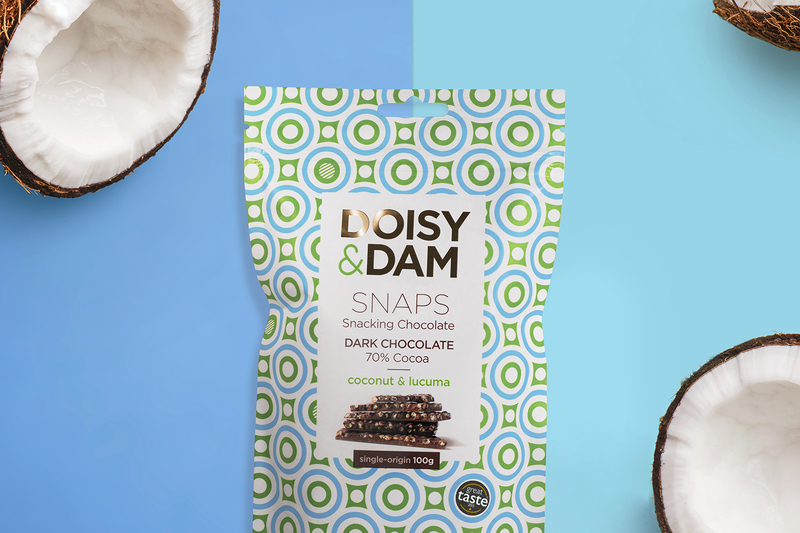 The idea behind the Snaps range was to create a product that would allow people to share their chocolate through a more simple, snackable approach. We illustrated their fun and bold personality through geometric forms, type treatment and colour. 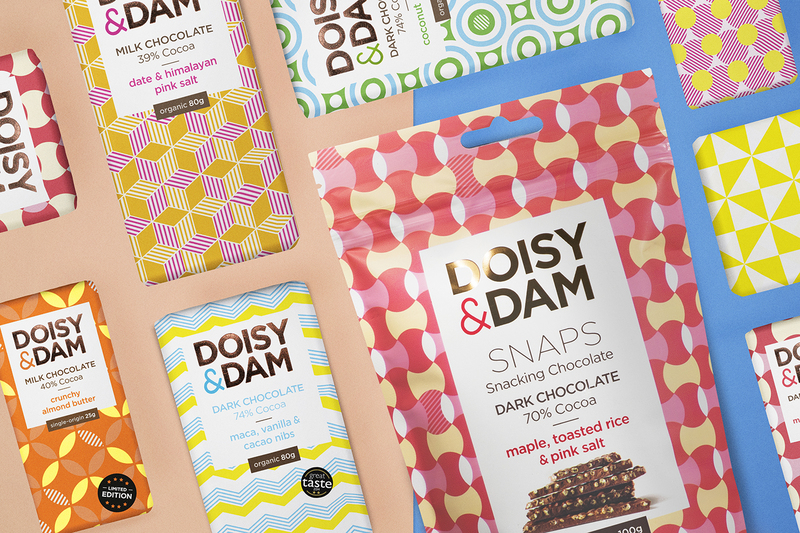 We used an uncoated stock to reflect the organic, handmade element of the brand and punchy bright PMS tones to elevate their colourful ingredients. 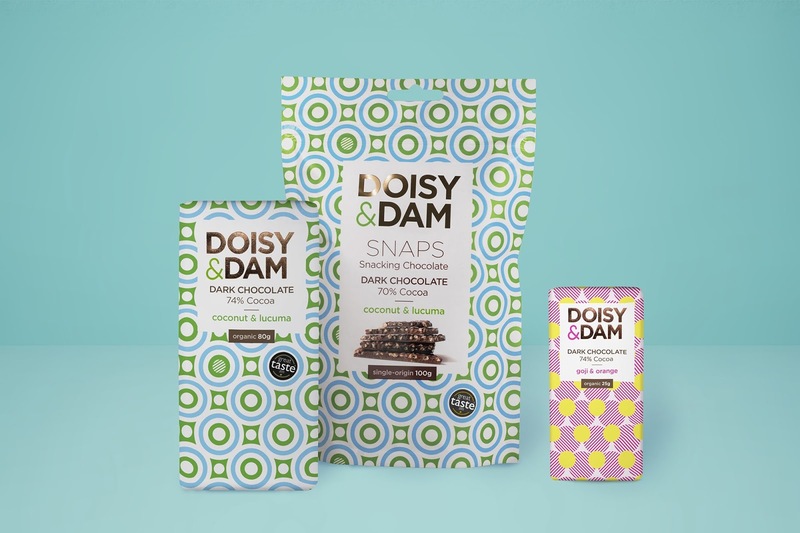 As Doisy & Dam are a chocolate boutique, we wanted to make the packaging look as premium as the product. Therefore, we laced copper foiling through the brand name and the inside of the Snaps product as a subtle note to luxury. In the time we have been working with them their products are now available in larger nationwide supermarkets such as Sainsbury's, Planet Organic and more recently Boots.